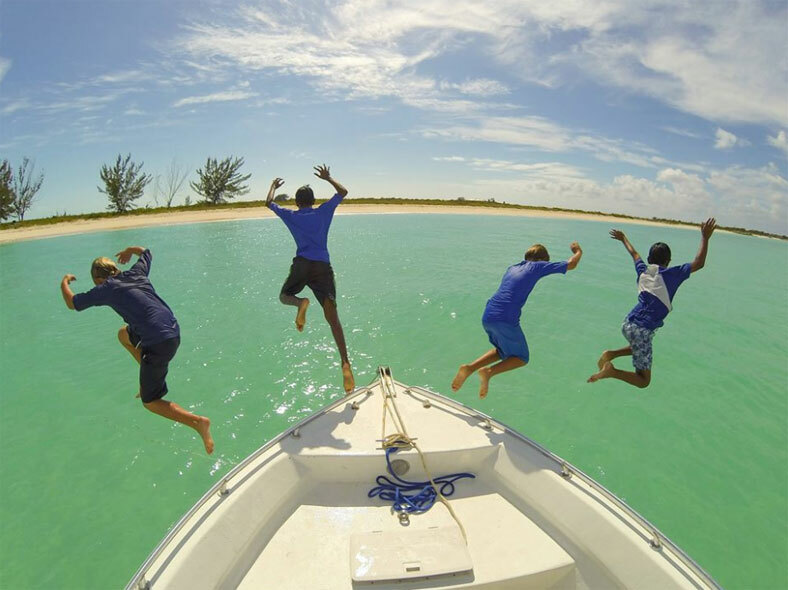 Island Life in Turks & Caicos – wicked fun for kids of all ages! What do you guys do there? Where do the kids go to school? Is there university? 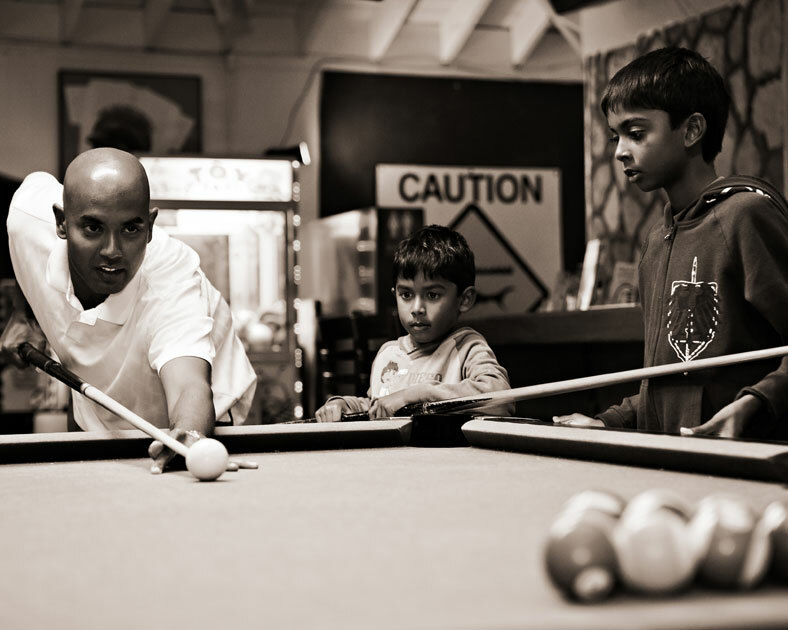 What types of things do the kids like to do there? I always enjoy telling them about what it’s really like to raise a family here. 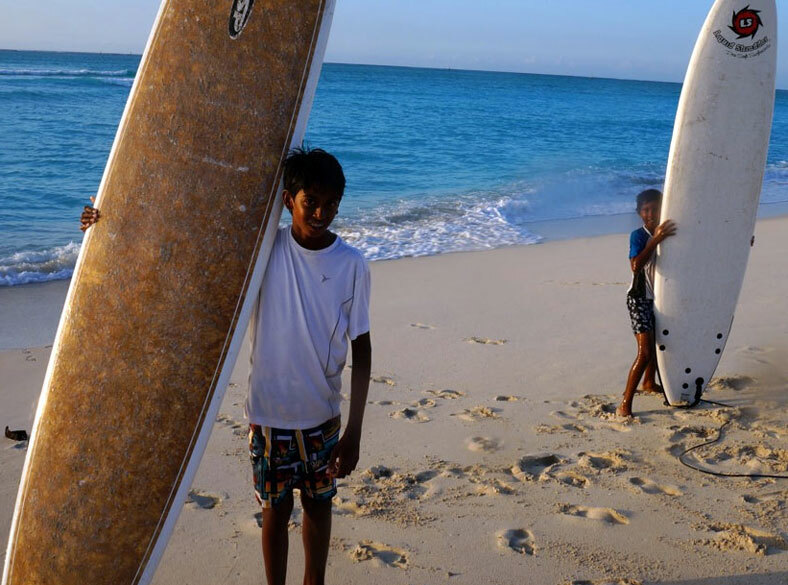 There’s lots of info out there on the web for reading and getting a mental picture of it all, but thought I’d write an article about what it’s like for my own family, and in particular … how my two boys like living on the island of Providenciales. 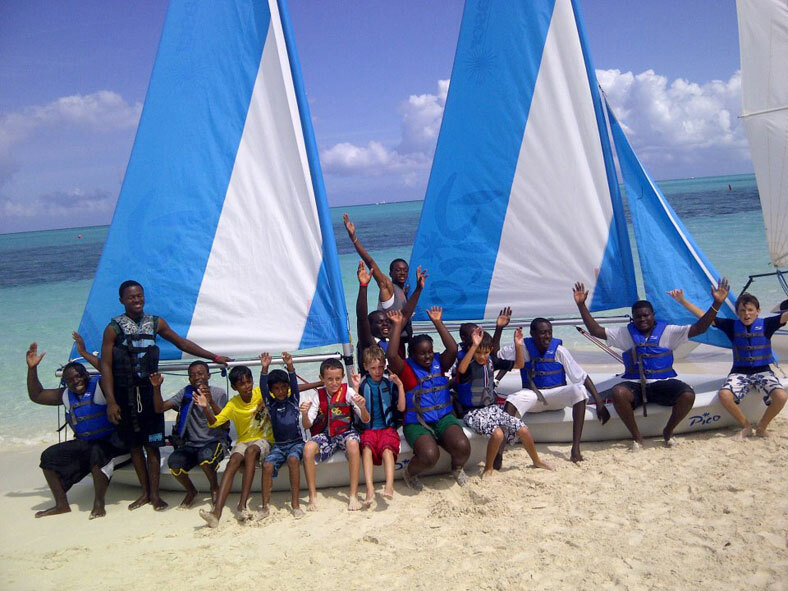 So … this one’s for you kids out there who are coming on vacation here and wondering what FUN things there are to do in Turks and Caicos! Q: WHAT ELSE DO YOU LIKE TO DO ON THE WATER? we love to go Stand Up Paddle boarding up and down Grace Bay beach (falling off is fun! ), going tubing at the back of the boat with our friends, renting kayaks at Big Blue and heading over to the mangroves to look for turtles, junvenile fish and baby lemon sharks; stopping off on some sections around the point to look for iguanas. We also tried surfing with REAL surfboards and OMG that was so super cool! 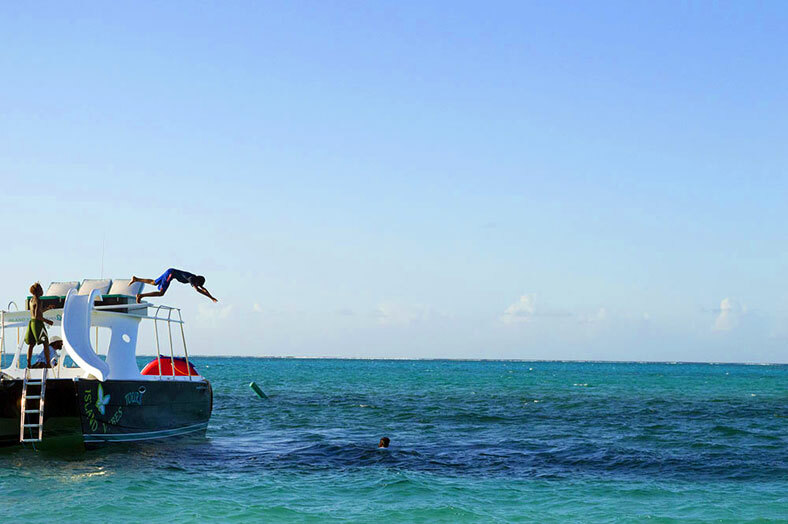 Going out with Caicos Dream Tours or Island Vibes – super fun time snorkeling by the reef that protects Grace Bay, going to Little Water Cay, and most of all, going down the diving board off the top of the boat! 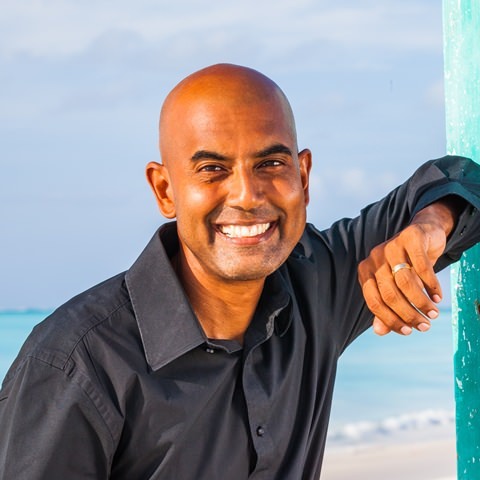 Of course, practicing our open water swimming stroke for the Race for the Conch Eco Sea Swim that happens here every year on Grace Bay – I won first place at the 2014 race (Naryan)! 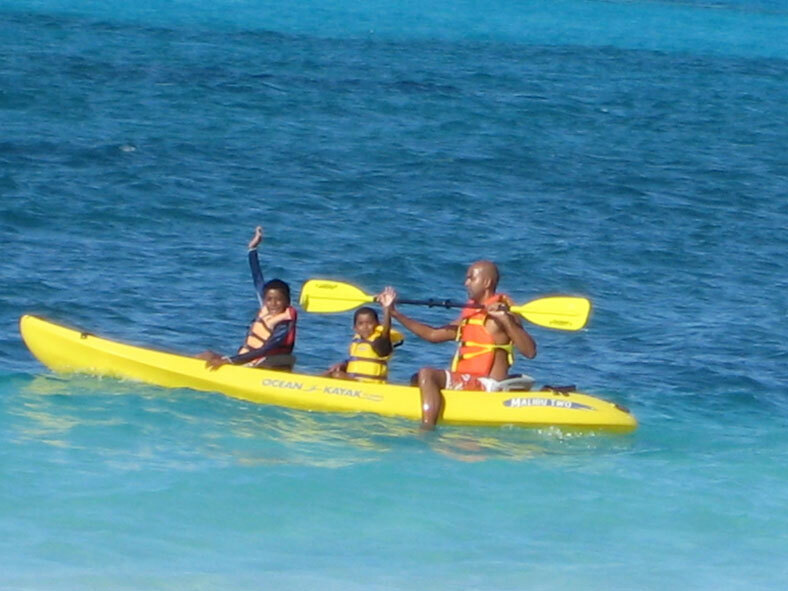 Kayaking on Grace Bay beach is FUN! Staying on the surfboard was pretty tough the first time we tried it – but so much FUN when we caught the wave! Learning to Sail with the Provo Sailing Club is FUN! 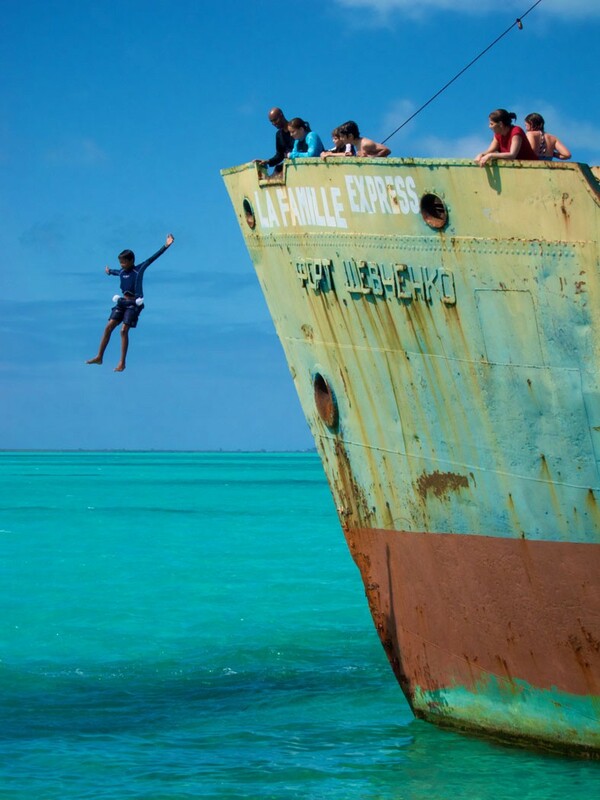 the side and jumped off – scary yet fun – this is definitely our version of Disney! Q: DO YOU LIKE GOING TO THE FAMILY ISLANDS? 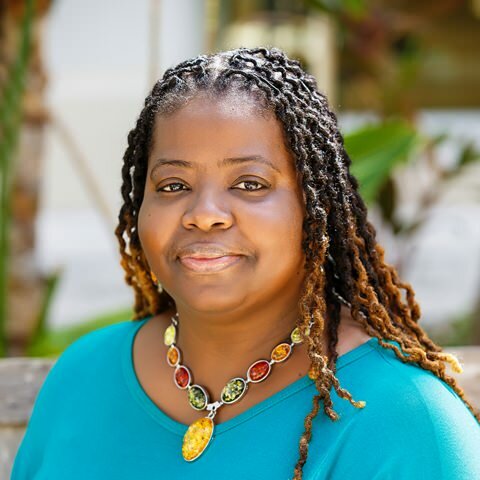 First, we need to mention that one of the highlights of these trips is actually getting there, TCI Ferry for North/Middle and South Caicos, and InterCaribbean Airways or Caicos Express Airways to Grand Turk or Salt Cay. 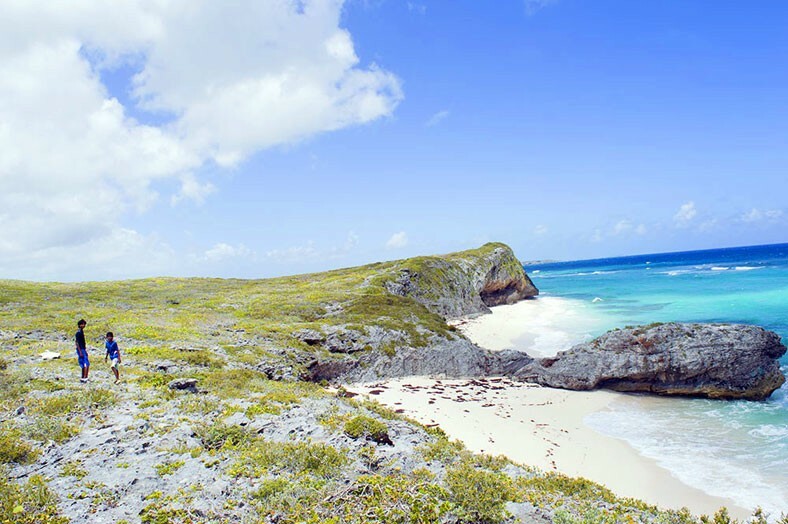 Hiking the Crossing Place Trail in Middle Caicos – undiscovered beaches are everywhere! 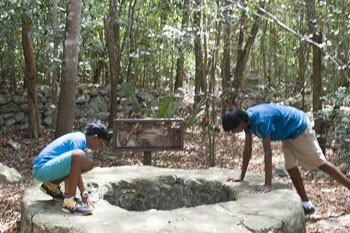 After checking out a few spots in North Caicos including our fav place by the Bottle Creek high school to stop and buy a few pies that the schoolkids buy every day, we head straight to Wade’s Green Plantation to check out the ruins from an old slave plantation – it’s like walking through a history book – very cool. We also like to head by the Government farm to see what they’re growing (so many fruits and veggies they grow there). 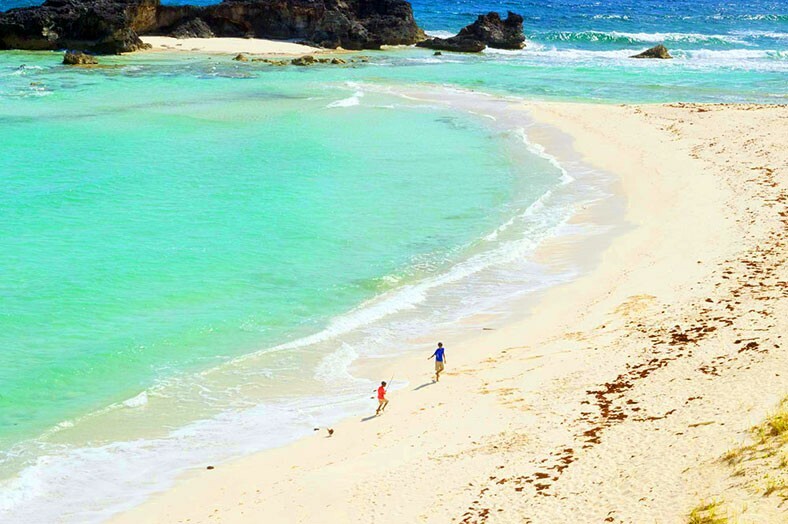 It’s then off to the stunning Mudjin Harbour – we LOVE it there, just love to run the empty beach, play and swim in the water, and wade over to Dragon Cay and explore the little dips and coves, and to dodge the spray as the waves hit the rock. Oh, and each time we go, we always race up the small hill to see the ‘Hands of GOD’ statue, then down the secret staircase to get to the deserted/hidden beach. 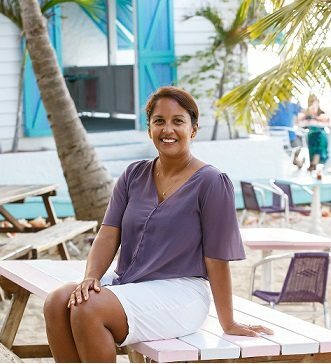 By this time, we’re hungry and want to have conch fritters down by Conch Bar at Daniel’s Cafe, hang with Devon for a bit, and checkout the cool handicrafts at the Middle Caicos co-op hut. After all this, jump in the car again, and head to the caves for a while to see the fruit bats, and the bat droppings everywhere – it’s spooooky in there! Indian cave is pretty cool too. Our fav thing though has to be the hike along Crossing Place Trail – about an hour into the hike from Blue Horizon Resort you get to this massive ‘Blowing Hole’ which sprays water up between the rocks by the open ocean – gotta see it to believe it. First thing we think about when we think of Grand Turk is how strange it is to see wild horses and donkeys everywhere when driving around. Well it is strange, but also kind of cool at the same time. Some of things we like doing when we go to Grand Turk include walking around the cruise terminal and reading the signs about when the first astronaut that orbited the earth landed right here in Turks & Caicos! Other things we remember and like doing when we go include going to see the lighthouse, spending time at the national museum, and of course having a great lunch and desert at Sandbar Restaurant right on the beach. Definitely Whale watching in Salt Cay is our funnest thing to do there! It’s awesome to see them breach out of the water. We also LOVE having lunch at Porter’s Island Thyme Restaurant – the parrot and Mr. Porter himself are both totally hilarious! Oh, and the food is really good too. We really liked the upstairs lounge area of the restaurant, got to feed the turtles and hang out up there for a while to overlook some of the island. Live large like the celebs (and their kids) by chilling in the massive infinity pool, playing tennis, biking around the island and stopping at the banana plantations – and of course the beach. Oh, the ferry ride to and from Parrot Cay is nice as well. Q: HOW ABOUT RESTAURANTS, WHICH ONES ARE YOUR FAVS AND WHY? Patty Place – best Jamaican patties and amazing Ice Cream! Definitely Sports – soccer at the (grass, turf, beach) pitch behind the IGA Grocery Store, indoor hockey, sailing with the Picos and Hobie Cats with the Provo Sailing Club. 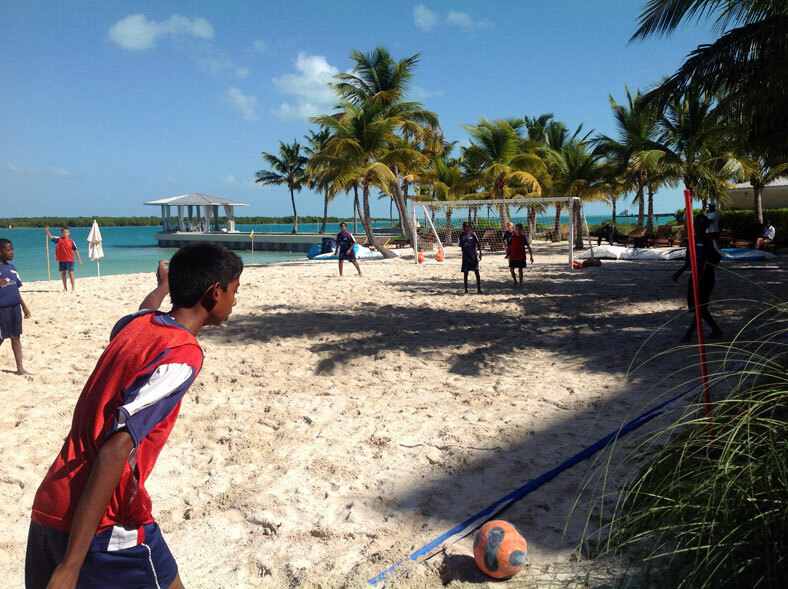 Beach Soccer tournament is a rush! 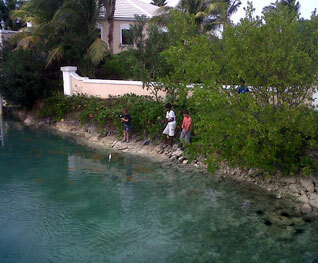 Q: HOW ABOUT SCHOOL IN TURKS AND CAICOS, DO YOU LIKE IT? 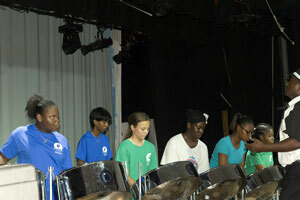 Playing in my school Steel Band – island style! my friends (from all over the world) are there – and I especially enjoyed writing the blog for the school website about our inter-school soccer tournament. 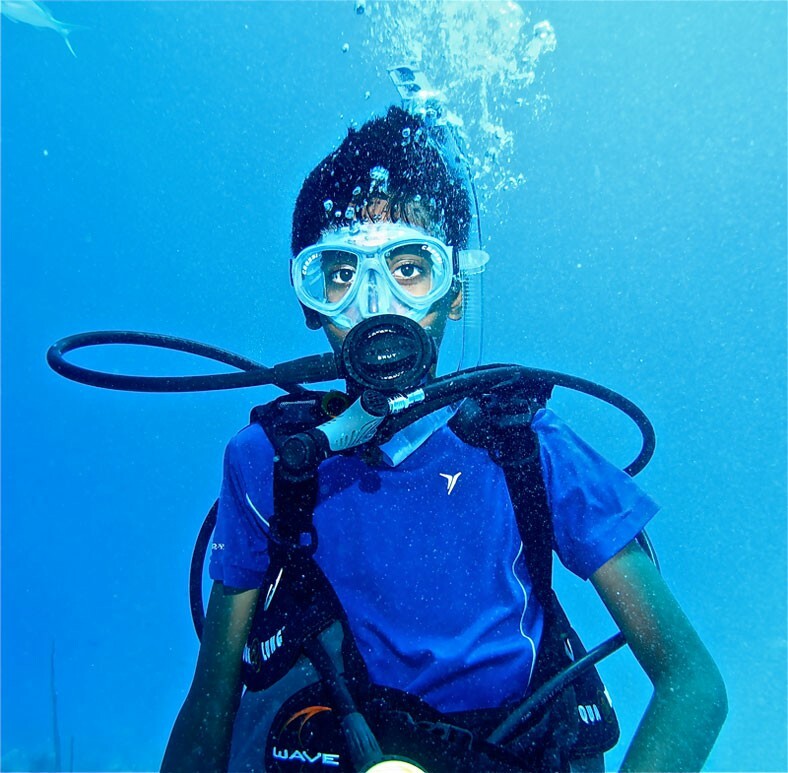 I (Naryan) love my school The British West Indies Collegiate – it’s a high school and besides having really great teachers, I’m in the Steel Band Club, Scuba Diving Club, Squash Club, Track team, Basketball team and much more. Q: WHICH ISLAND FESTIVALS & EVENTS DO YOU LIKE TO GO TO? Kite Flying at Easter – fun day out on the beach flying kites – there are some massive kites you can see! Well, there you have it, direct from island kids themselves (no editing by parents here).